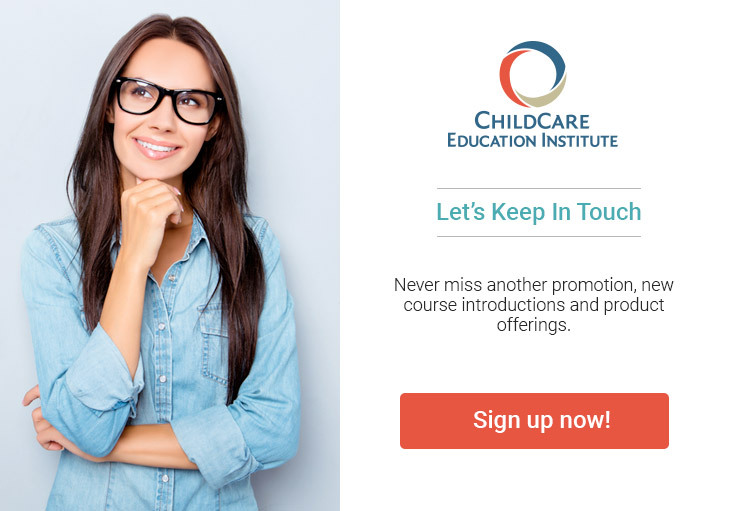 The Director’s Certificate, by ChildCare Education Institute (CCEI) provides information for early childhood professionals seeking to further their skills and knowledge in the management of a child care center. The online training program is comprised of five Instructional Units. These units focus on the core areas of competency required to manage a child care center. Each student in the Director’s Certificate program receives support from an Education Coach (EC). Each EC is an early childhood education specialist and has previous experience working in a child care center or school. In addition, the Director’s Certificate program has been evaluated by the National College Credit Recommendation Service (National CCRS) and has been recommended for 4 semester hours of credit in Early Childhood Education or Early Childhood Education Administration/Leadership in the lower division baccalaureate/associate degree category. Several courses within the Director’s Certificate program require observation, assessment, and practical application of learning principles in an early childhood learning environment. Students must be working in or have access to an early childhood environment to successfully complete these courses. Textbook Information: A textbook is required and must be purchased at the student’s expense. Prospective students of the Director’s Certificate program are strongly encouraged to check with their licensing representatives to determine each program’s applicability toward state requirements.